We attach great importance to an above-average quality standard for our products and processes. Every step in the process, from extrusion to vulcanization, grinding, cutting and finishing, is 100% integrated into the system. The processes are continuously developed and adapted to the requirements of the customer if necessary. The traceability of processes and the resulting improvements are the central approach of our actions. 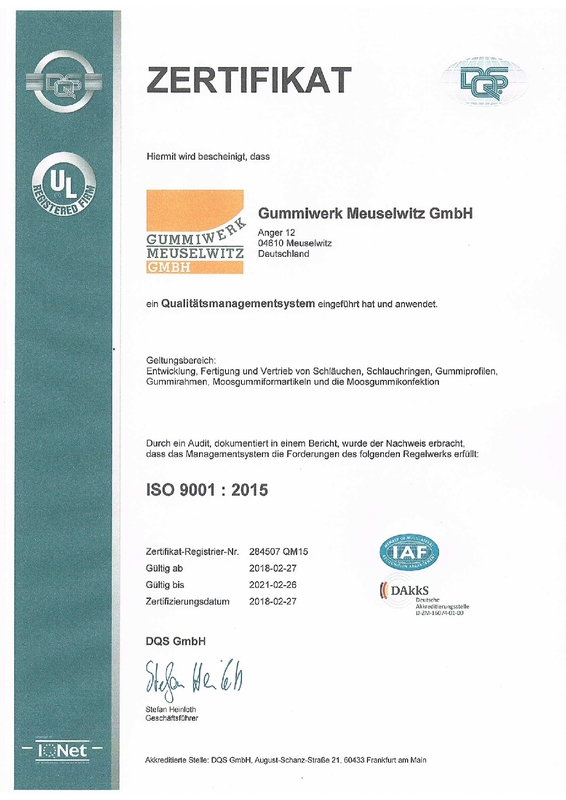 Since 1996, we have underpinned this claim with certification to ISO9001: 2015 by the German Association for the Certification of Management Systems (DQS).